said, “Nigerian union clearly reinforces the fact of self determination and that Nigeria remains a very divided and separated entity whose claim to unity remains a fraud of gargantuan proportion”. The former Nigerdelta Militant leader said “The celebrated victory of Buhari is not the victory of the people but victory of regional conspiracy and supremacy. The voting Partern has clearly shown that the Gambari North and the Yorubas are united in the conquest of the Niger Deltans and the Igbos of defunct Biafra with the middle belt now used as pawns. “The victory of Muhammadu Buhari is a historical reminder that we are a conquered people who are mere appendages existing at the pleasure of the supremacist and the regional overlords. “We remain a people separated by our ideologies and interests, we are not integrated nor reconciled,” he stated. 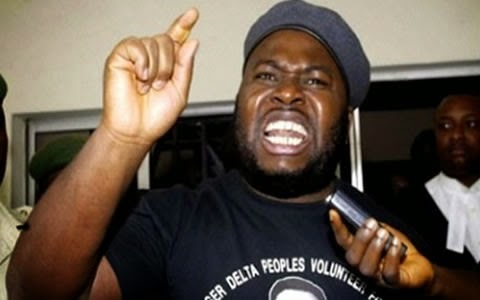 While alleging that the incoming government could attempt to undermine the interest of the Niger Delta, the former warlord called for a return to the creeks, noting that, “The conditions that advanced the need to embrace the creeks have been sadly re energized, it is clear that a vicious government who may maim and murder the voice of the so called minorities may have just been birthed”.